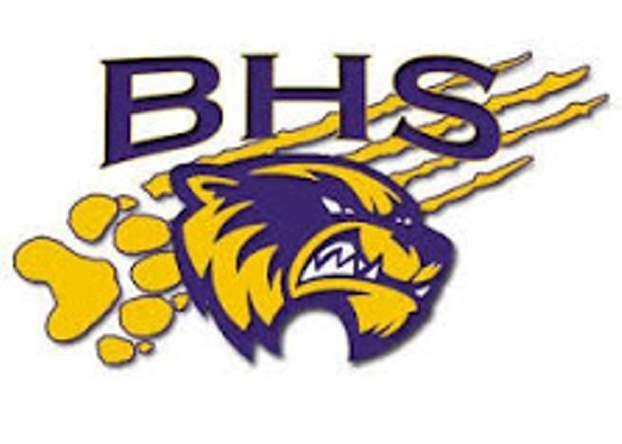 Bayfield expected a tough game against a proud San Juan High School football team Friday night in Blanding, Utah. A tough game is exactly what the Wolverines got. BHS, the top-ranked team in Colorado’s Class 2A and the defending state champions, went on the road for a second consecutive week to open the 2018 season. The Wolverines earned a tough 27-0 victory behind its stifling defense. The Wolverines have now won 15 consecutive games to match a school record. The team will try to set a new record at 1 p.m. Sept. 8 at home against Aspen. BHS has won a program record 20 consecutive games at Wolverine Country Stadium. Bayfield (2-0) got momentum going thanks to its defense in the first quarter. After a Daniel Westbrook sack, the Broncos (1-2) punted the ball away. Dylan Hilliker and David Hawkins delivered some big runs to the San Juan 37-yard line, and quarterback Hayden Farmer capped the drive with a 33-yard touchdown pass to Keyon Prior on a perfectly executed play-action pass. Max Mcghehey kicked the extra point, and the Wolverines lead 7-0 with a little more than 3 minutes to go in the quarter. A fake punt run by Prior set up the Wolverines’ next score in the second quarter. Prior ran off the edge for 13 yards to the Bayfield 40-yard-line. A big pass from Farmer to Prior gave the Wolverines the ball on the San Juan 5-yard-line, and Hilliker punched it in with an outside run of 3 yards moments later. The extra point again was good, and Bayfield led 14-0 with 9:57 to play in the first half. Farmer came up with an interception on defense on the next Broncos drive. It was his second of the season and sixth of the year for the Wolverines after the team had five in a 54-13 win last week at Farmington. But Bayfield couldn’t get points out of the turnover. The Wolverines had one more chance to score before halftime behind a nicely executed drive in the final minute, but a 22-yard field-goal attempt from Mcghehey was just short. BHs drove the ball well in the third quarter but couldn’t finish drives with scores. Prior, though, broke a big run on a triple-option pitch from Farmer to get inside the San Juan 30-yard-line. Moments later, Hawkins would score on a third-and-15 run of 33 yards up the middle. The extra point was wide, but the Wolverines led 20-0 with 9:11 to play. After another defensive stop, the Wolverines added one more touchdown in the fourth quarter. This time, Farmer hit Hilliker on a 16-yard touchdown pass. The extra point was good, and BHS claimed a 27-0 advantage with 4:09 to play. The Wolverines made life difficult for San Juan’s talented quarterback Jace Palmer. The constant pressure made it difficult for him to complete passes and have enough time for receivers to get past the shutdown corners of the Wolverines. The Wolverines forced one more turnover with a San Juan fumble in the final two minutes of the game. It was the first shutout of the season. Last year, Bayfield had eight wins by shutout out of 13 games on the schedule.